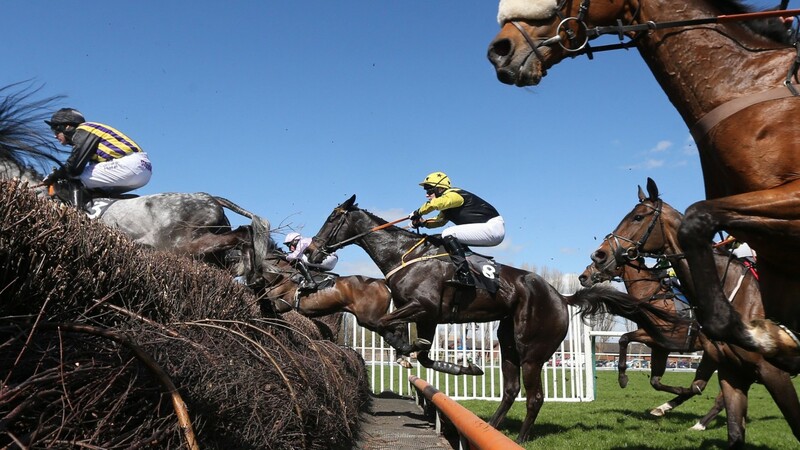 Crosshue Boy, a 33-1 shot for the Coral Scottish Grand National last weekend, was on Wednesday night no bigger than 12-1 and his trainer reported him to have been laid out for the race since winning at Ayr last spring. Sean Doyle, who has yet to celebrate a winner this season, says his stable star looks a million dollars and that he has had his eye on the race ever since Crosshue Boy beat Dingo Dollar in a novice handicap chase at the 2018 Scottish National meeting. Dingo Dollar's connections have also long had this Saturday's £215,000 prize in their sights, and he too was reported in tip-top form on Wednesday. Doyle, based in County Wexford, is better known for his exploits with point-to-pointers and has just two horses under rules, with Crosshue Boy his prized possession. Sean Flanagan has been booked to ride, with the four-mile trip at Ayr expected to bring out the best in the nine-year-old. "He looks a million dollars and we've had this race in mind since he won at Ayr last year," said Doyle. "We were tempted by Aintree earlier in the season but he didn't take to the fences when he ran in the Becher in December, so that made up our minds that the Scottish National was the race for him. "He's crying out for the trip. He's a strong stayer and hasn't had the chance to run over a trip too often. For horses like him rated in the 140s and wanting better ground, there aren't too many options. The ground was too soft for him to go for the Thyestes." Stable form was worrying Doyle up until Friday, but Crosshue Boy's spin over hurdles at Wexford, when an eyecatching third over a trip too short, eased concerns. 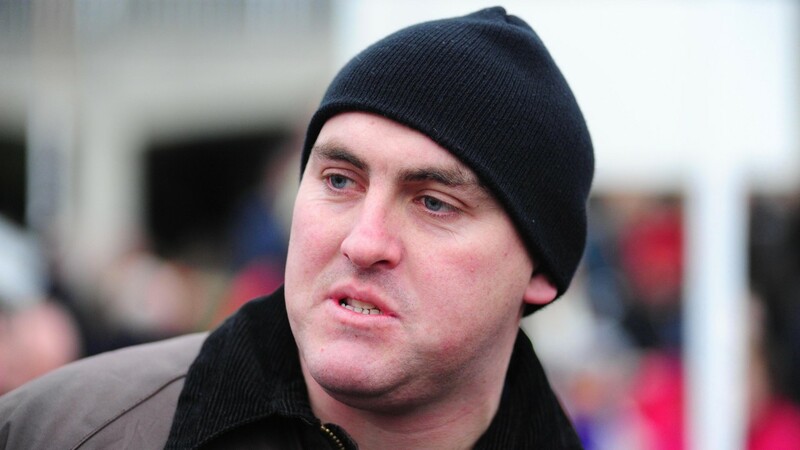 "I was delighted to see Crosshue Boy running so well at Wexford last week and our team are coming back into form now. It has been a quiet season," he said. "That ought to have blown away the cobwebs and left him spot on for Saturday. "It's all systems go. We can't wait for the race. He's unexposed over staying trips and I'd like to think he has a great chance. We haven't backed him ourselves yet, but somebody has!" Wayne Hutchinson believes he has a good chance of crowning an already fantastic season with victory for long-time boss Alan King aboard progressive stayer Dingo Dollar. The pair combined to land the 2013 Scottish Grand National with Godsmejudge, and Hutchinson, who has been attached to King’s stable since 2002, reckons Dingo Dollar has excellent prospects of following in his footsteps. He has raced just four times since finishing runner-up to Crosshue Boy at Ayr last year, including when third to Sizing Tennessee and Elegant Escape in the Ladbrokes Trophy at Newbury in November. He likewise appears to have been laid out for Scotland’s biggest race of the jumps season, and on Wednesday was Coral's 8-1 favourite. Hutchinson said: “The race tends to suit handy types like him and he's already shown he acts on the track. Godsmejudge relished every yard of the four miles when staying on strongly to deny Big Occasion by four lengths six years ago and give his Scotland-born trainer a memorable moment in a race which has always been close to his heart. Hutchinson recalled: “That was a great day for everyone involved with Godsmejudge, and particularly the guv’nor, back at his roots. Hutchinson is on the 81-winner mark this season, with an excellent wins-to-rides strike-rate of 21 per cent, comfortably better than his previous best of 74, which he recorded in the 2016-17 campaign. He said: “The season has gone fantastic for me in numerical terms. The guv’nor’s horses have held their form and he's supported me all along. Chris Broad, my agent, has also done a great job. “It wouldn’t have been achievable without the guv’nor’s support and that of his owners. With the season finishing at the end of this month, a first century looks out of reach, but Hutchinson intends to get as close as he can to it.